When planning an event or celebration one of the first things to consider is the location. Many people opt to host affairs in the comfort of a restaurant’s private rooms. Whether for a business meeting, rehearsal dinner, birthday, or anniversary, when hosting an event the stage always sets the scene. If you combine delicious food, outstanding service, and an intimate setting, you’ll have all the components for a fabulous occasion that both you as well as your guests can relax and enjoy. Listed below are but a few of the culinary choices Tampa has to offer. Specializing in expertly prepared seafood and aged prime center cut steaks, Eddie V’s is hard to top when it comes to fine dining experiences. For both business and pleasure, the restaurant offers private booths as well as private or semi-private rooms that comfortably hold 18 to 48 seated(25 to 70 standing). Individuals can request both booths and rooms be decorated. State of the art technology is available in most rooms. Paying attention to every detail, Eddie V’s provides personal event planners, many menus options (including customized, bar, gluten sensitive and holiday), wine suggestions, live jazz music, and much more. Average dinner prices range from $75-$100 per person and private party menu pricing is available online or by calling the private dining manager (not inclusive of beverage, tax or gratuity). The Columbia carries the moniker of both Florida's oldest and the world's largest Spanish restaurant. 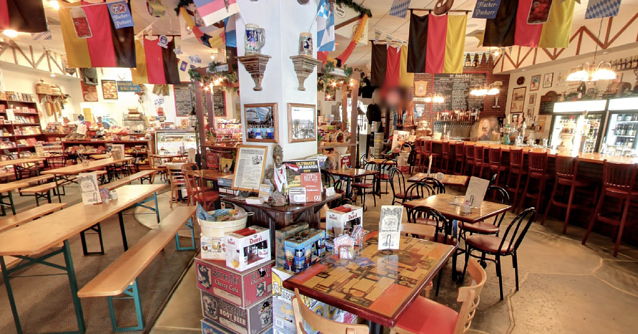 Established in 1905, Columbia Restaurant provides a vibrant and authentic atmosphere filled with gorgeous antiques and classic touches customers are sure to love. The restaurant.specializes in serving Spanish, Cuban, and vegetarian friendly foods. Its 15 unique dining rooms can accommodate groups of 10-400 for parties and events (both personal and professional). Room rental rates are determined by the date and size of the party. While there are no lunch minimums, dinner minimums must be met, and include both food and beverages. 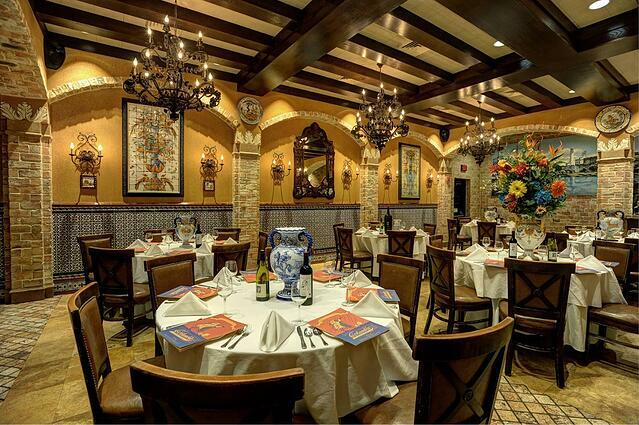 Automatic gratuities are included with events averaging around $4000 for the dining room, seating 60-72 people. Guests are entertained by a nightly flamenco dance show that charges a $6 cover charge per person and live jazz shows. There’s also full a service bar for guests. Patrons can tailor their own menu with the help of the venue’s planners, or choose from the locations banquet menu. Price ranges are $60-$72 per individual. Casual attire is allowed and they are open 365 days a year. Be warned, there’s always a party going on at Dunderbak’s. Located near U.S.F, Dunderbak definitely has a casual college hangout feel to it. All age groups and families have a tendency to dine there in the earlier hours, while the younger crowd comes out moreso at night. Regardless, all are welcome to experience its’ German Pub atmosphere filled with everything German: mouth watering food, live accordion music, unique gifts, and almost every imaginable type of beer. Whether planning a football party, birthday party, or just hanging with the fellas, Dunderbak’s offers a long table or their beer hall for parties up to 32 comfortably, and 50 if you reeeaaally like each other. Prices average between $11 and $30 a person. The catering menu, which can be found online, applies. Expect to drive around for awhile as parking can be quite a challenge during dinner and weekends. Leaving can also be challenging if you overindulged in too much fun. Take care of your guests in advance, and book Escot Bus Lines to get them there and back. Leave the driving to us! 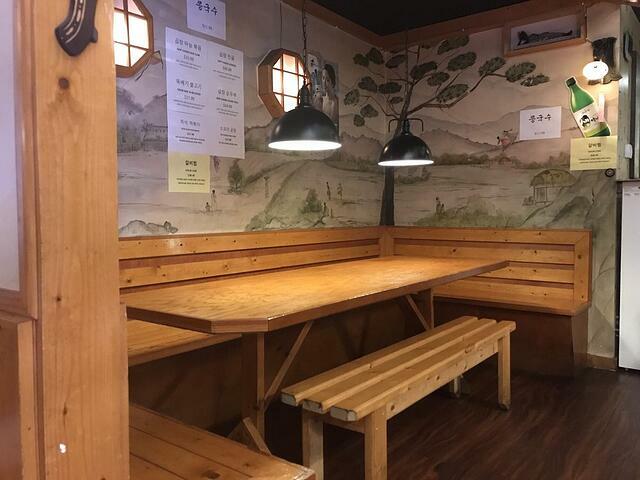 If you’re in the mood for the most authentic flavorful Korean food in the area, One Family Korean Restaurant is a must try. Meals average between $11-$30 a person, and the entire menu is online. One Family is known for their very large portions, upstairs karaoke, and Gal Bi (Korean Style Shortribs). The family atmosphere is comfortable, cozy, and tastefully decorated in traditional style. One Family is perfect for small groups seeking to immerse themselves in a cultural dining experience. There is a private room which seats 20-25 people and groups are always advised to call ahead. Those dreaming of the perfect venue of a lifetime can wake up because their search is over. 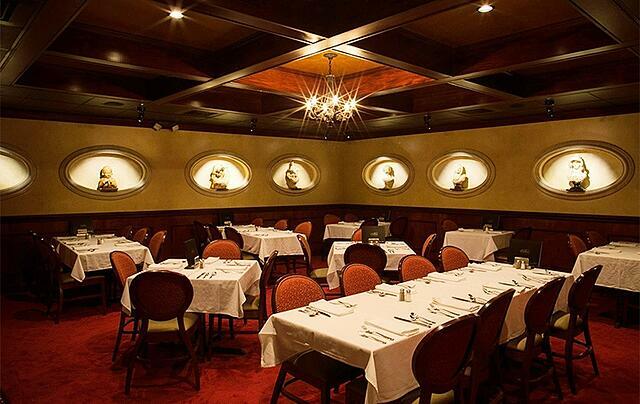 Bern’s is a food connoisseur's dream, furnishing extraordinary decor, cuisine, and service on all who visit. After eating their meals, guests are allowed a tour of the massive kitchen and phenomenal wine cellar, before retiring upstairs to the dessert room (where true decadence awaits). Regular reservations are considered to be around 13 guests or less. Larger parties can choose from multiple private rooms seating up to 44 guests. This beautifully decorated Italian restaurant and bakery offers delicious food with impeccable service. Large groups have a choice of the Blue room which holds 8-16 guests, as well as the Venetian Room which holds 40 seated and 50+ in a cocktail setting. Food and beverage minimums apply depending on the day or night with server gratuities included. Attire is casual and prices reasonable. 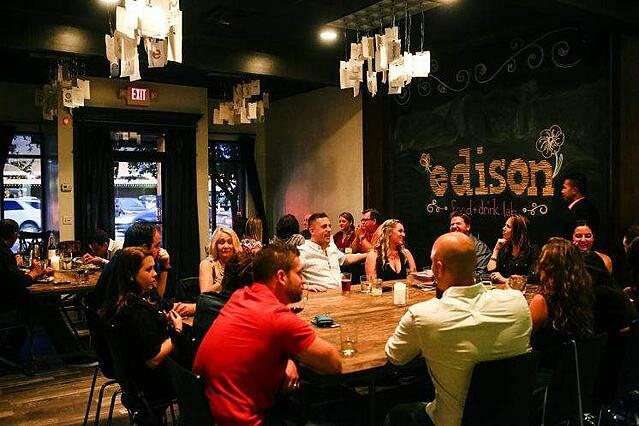 Edison’s is a hidden treasure near downtown Tampa, offering an eclectic change of pace. You can expect to experience American contemporary dishes that are served with creative flair and unmatched style, created to stimulate the senses in casual surroundings. One example of such dishes being the buffalo cauliflower that customers can’t seem to stop talking about. 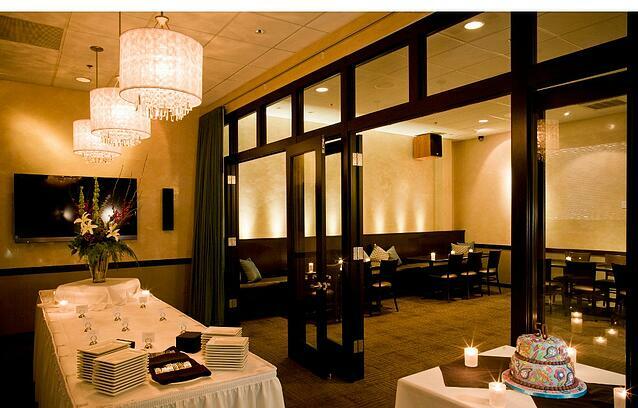 Group events can be held in one private dining room seating up to 40 with food and beverage minimums in effect. Weekdays have a $300 rental fee plus $1500 food and beverage minimum. On weekends you can expect to have a $350 rental fee plus a $2500 food and beverage minimum with additional gratuity and taxes applying. Average meals run from $65 up and include salad, an appetizer, the main course and dessert. 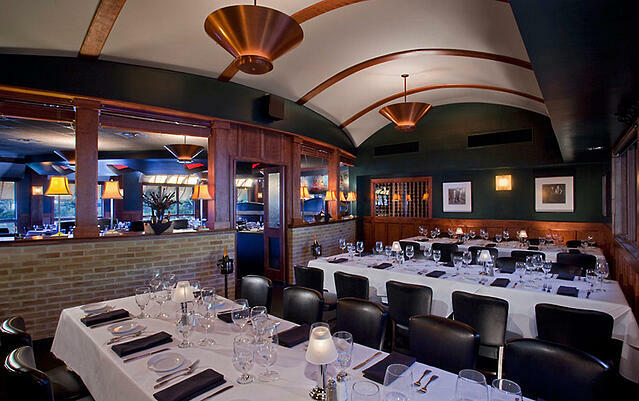 Without a doubt, Tampa delivers private room dining experiences to practically meet every preference and need. From fine and casual dining, to multiple seating requirements and a vast array of menu options, these restaurants are sure to fit almost every palate and budget. Whichever restaurant you prefer for your event, Escot can help with your charter bus transportation to and from the restaurant in Tampa. Ready to book your group's charter bus transportation?